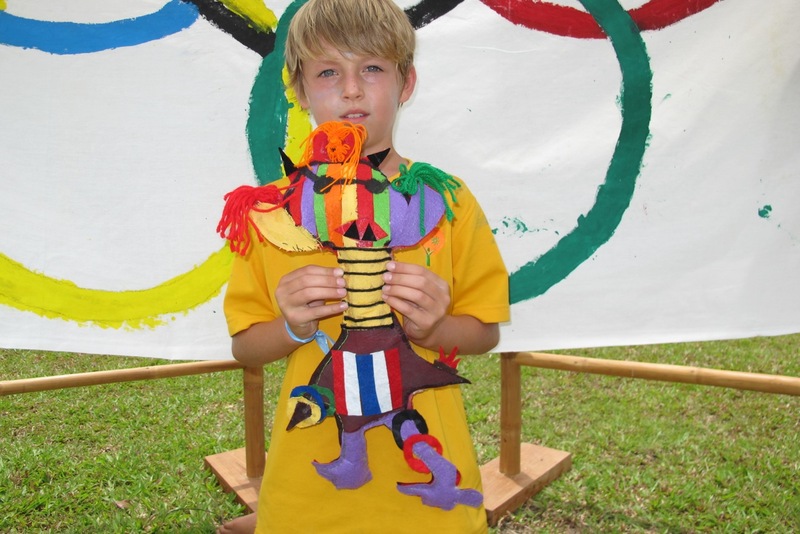 Mascots are the biggest cheerleaders for the Olympic Games. They entertain fans and promote the Games’ spirit of sportsmanship and participation over winning. They also represent the history and culture of the host country. If Thailand were to host the Olympic Games, what would the mascot look like? 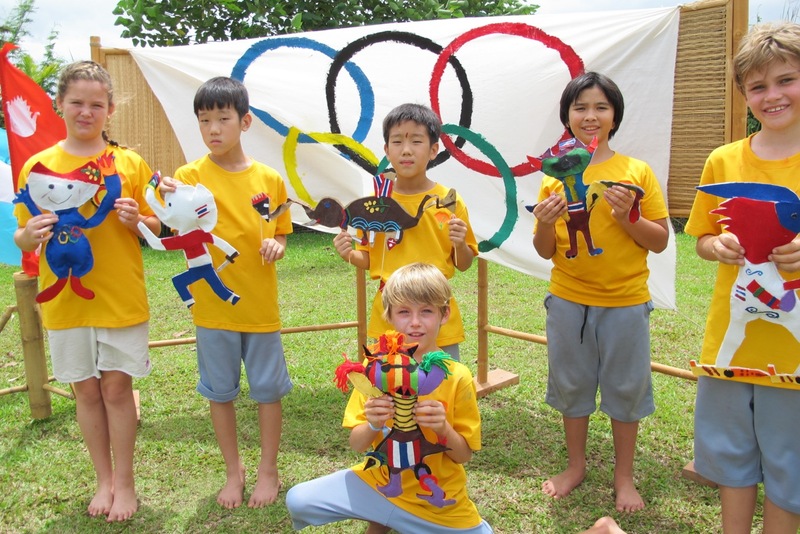 This was the question Panyaden’s Prathom teacher, Kru Goy, posed to her students when it was decided that our school would organize our mini version of the London Olympics in Chiang Mai. Here are the results designed by 6 students who presented them at our Opening Ceremony yesterday. 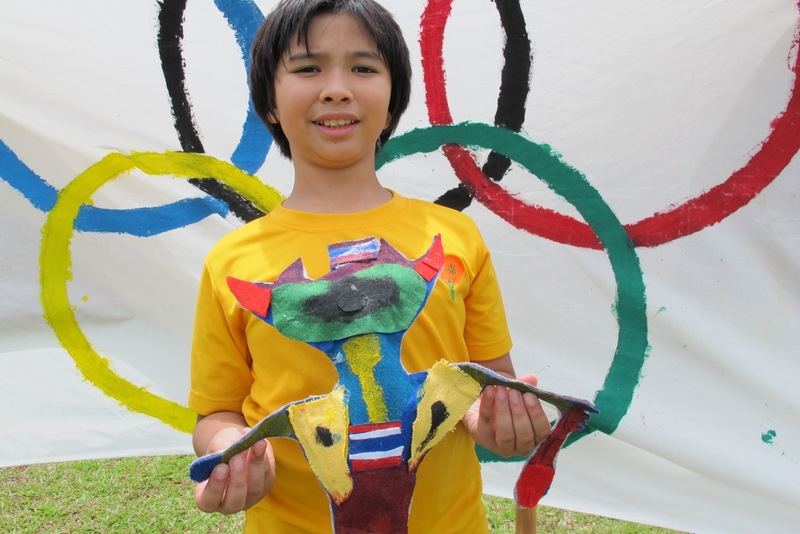 These pupils created their mascots that imaginatively integrate what they have learnt about the Olympics and its symbols with elements of Thai culture, history and life. 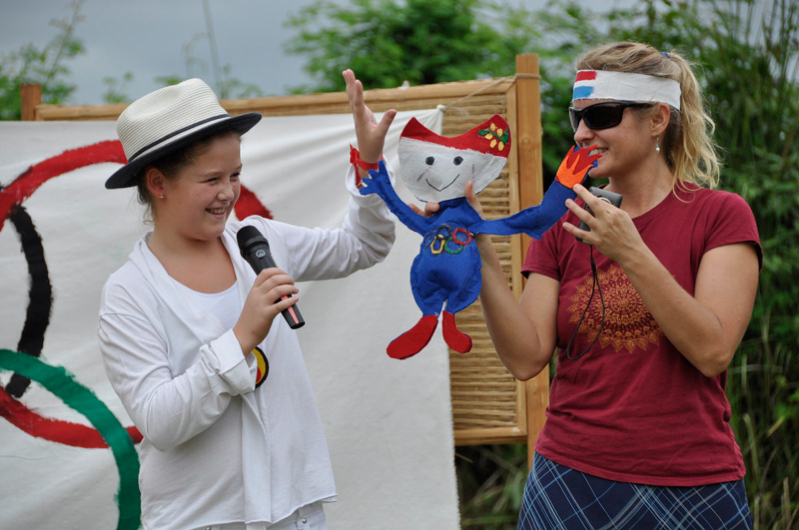 This colourful mascot features a long neck similar to those of the Karen women in Chiang Mai. The bright threads are reminiscent of the person with the hairiest face in Thailand that Hugo had read about online. The Thai flag is placed on the mascot’s Thai-style pants with the 5 Olympic rings interestingly placed like ornaments at one end of the pants and through the left leg. Fizzy has buffalo horns representing the farm animal common here. 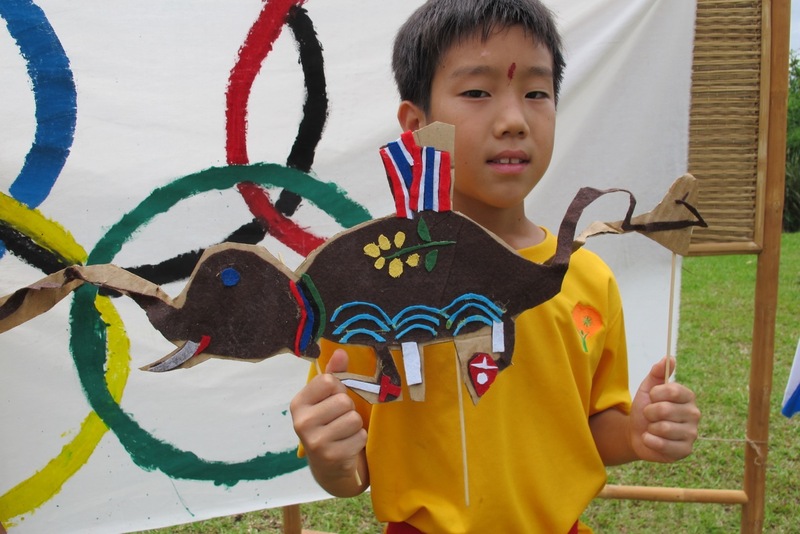 Jack made his Thai-phant after he was inspired by Kru Goy’s history lessons about King Taksin and King Naresuan who fought many brave battles with their loyal elephants to defend Thailand from foreign occupation. 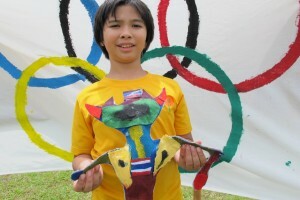 He has added other features he likes such as a sword, the Thai flag, blue convex curves and rings around Thai-phant’s neck that reference the Olympic rings and the bright yellow national flower of Thailand, the Ratchapruek. Jessica’s red, white and blue mascot looks like a smiling cat holding up the Olympic torch. It features the colours of the Thai flag and the Ratchapruek flower. She has sewn on the 5 rings of the Olympic symbol to represent the union of the 5 regions of the world and the meeting of athletes from throughout the world at the Olympic Games. “The yellow tee shirt represents the King’s birthday which falls on a Monday,” explains Matthew. His mascot holds a red Olympic torch whilst his face is a camera to record everything like the real London mascots. The Thai flag appears twice on the head and on the waist. Matthew added tuk tuk wheels to Siam’s feet “to help him run fast”. 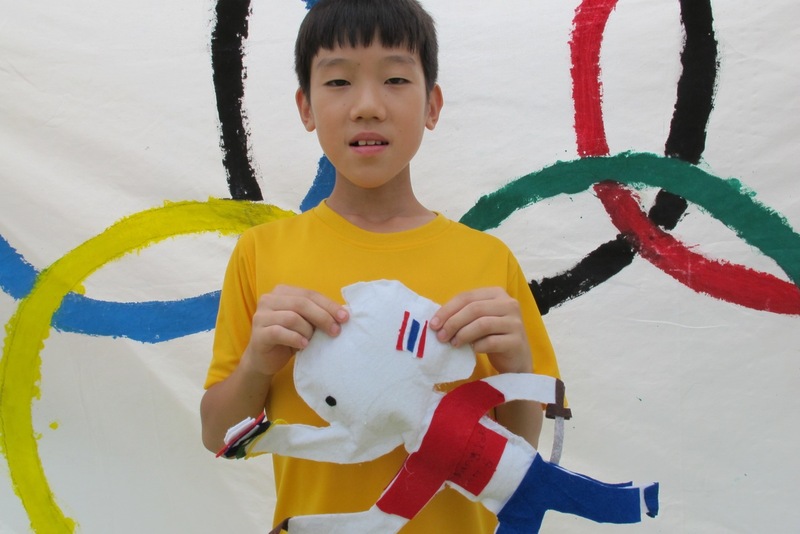 This mascot is an Olympics runner with a rare white elephant head to represent King Taksin. Nick adds that the mascot holds a sword symbolizing “many Thai kings”. His trunk holds the 5 colours of the Olympic rings with a Thai flag on its ears. 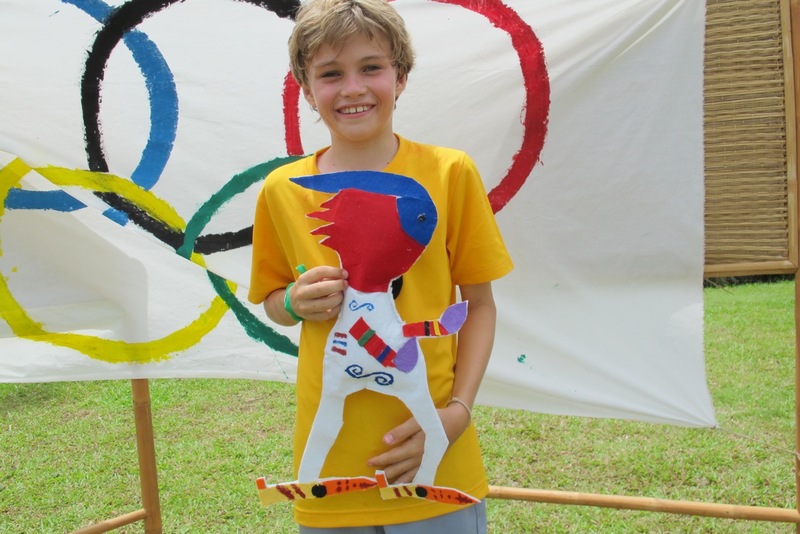 As the name implies, Oliver’s mascot is a fast runner with ski legs “where water sprays out like at Songkran”. The legs also have black tuk tuk wheels to help with speed. His inspiration was Mandeville, mascot of the Paralympics 2012 as seen in the blue and red windblown hair design. The colours of the Olympic rings are on the torches that double up as hands whilst the purple flames represent lotuses. This entry was posted in Featured Posts, Others and tagged chiang mai, Panyaden School, Prathom teacher, Ratchapruek flower, Thai culture, thailand.